Includes Jermall Charlo vs. Hugo Centeno & Gervonta Davis vs. Jesus Cuellar. Includes Jermall Charlo vs. Jorge Sebastian Heiland. 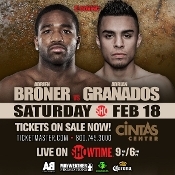 Includes David Avanesyan vs. Lamont Peterson & Marcus Browne vs. Thomas Williams Jr.
Includes Chasing Billions preview show. Also: Robert Easter Jr. vs. Argenis Mendez & Gervonta Davis vs. Guillermo Avila. 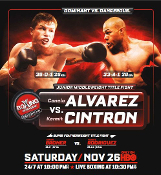 Includes Jose Pedraza vs. Edner Cherry. Includes Lucas Matthysse vs. Roberto Ortiz & Andre Berto vs. Steve Upsher Chambers. Includes Johnathon Banks vs. Seth Mitchell II & Sakio Bika vs. Marco Antonio Periban. Includes Sakio Bika vs. Nikola Sjeckloca. Includes Seth Mitchell vs. Johnathon Banks. Includes Adrien Broner vs. Eloy Perez.